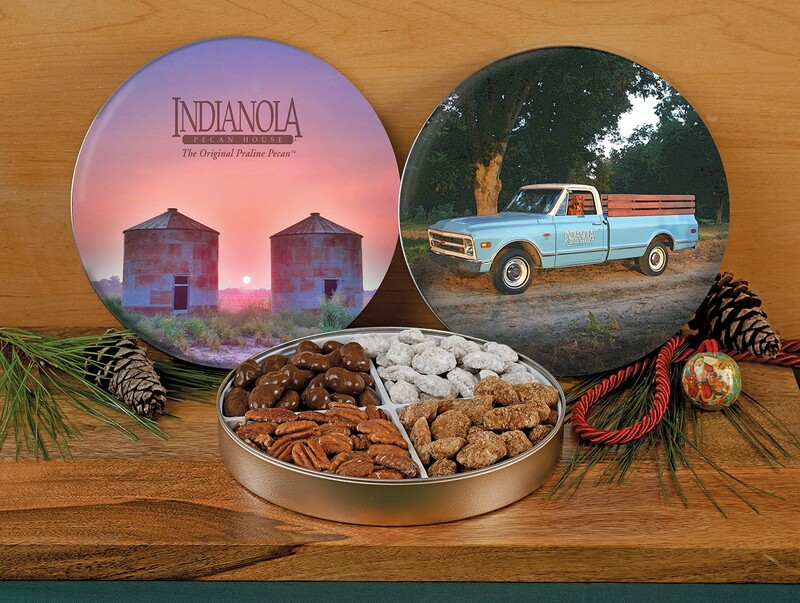 Collectible Tin 4-way Sampler - Our newest collector's tin is packed with our four most popular flavored pecans! Our new Collectible Tin, Late Delta Light, is packed with Praline, Honey, Chocolate, and Roasted & Salted Pecans! From Paul of Newnan, Georgia on 12/12/2015 .